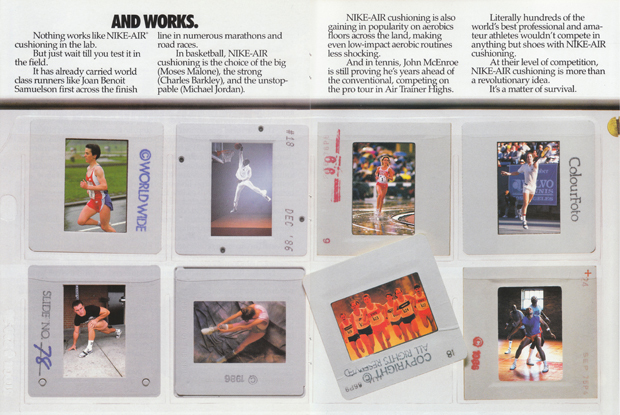 Recently we acquired a piece of archive NIKE-AIR advertising from the States, originally printed in 1987, and we thought we’d scan it in for all to see. 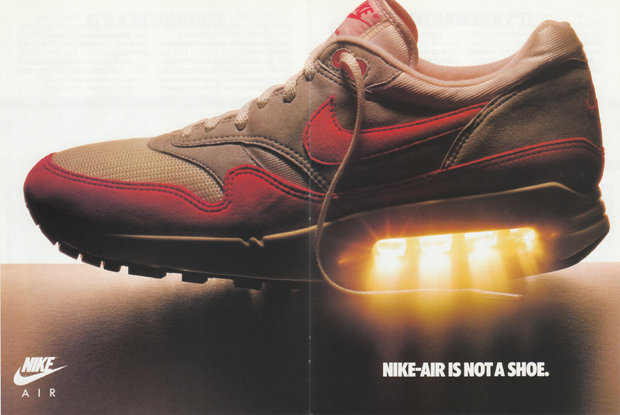 We love sneakers and we love good advertising and marketing, so it should come as no surprise that we love a good bit of vintage sneaker advertising. This piece is a classic and a beauty, with the main image often seen doing the rounds on Tumblr, but as we were fortunate to get our hands on a mint copy we wanted to do it justice and put it up in full and in good enough quality that you can actually read it. It’s a pretty hefty piece of advertising after all. It’s great to see the OG Air Max 1 in all it’s glory (both colours), as well as some other classics like the Air Safari, Air Force and Air Trainer. Not to forget some of the lesser known Air models that are unfortunately stuck in the archives; the Air Sock, Air Control and Air Support. 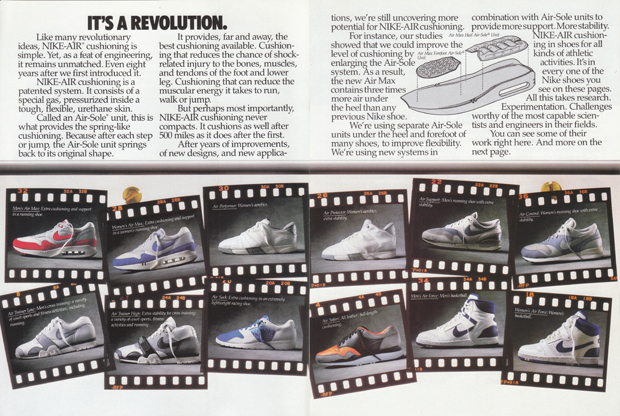 I doubt you’d see Nike putting this much visible effort into selling a concept to the public these days. Anyway, enough rambling. 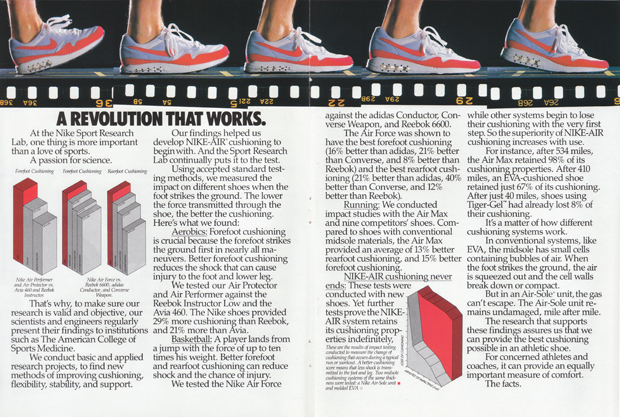 Here’s how Nike described their NIKE-AIR system back in 1987. Enjoy.